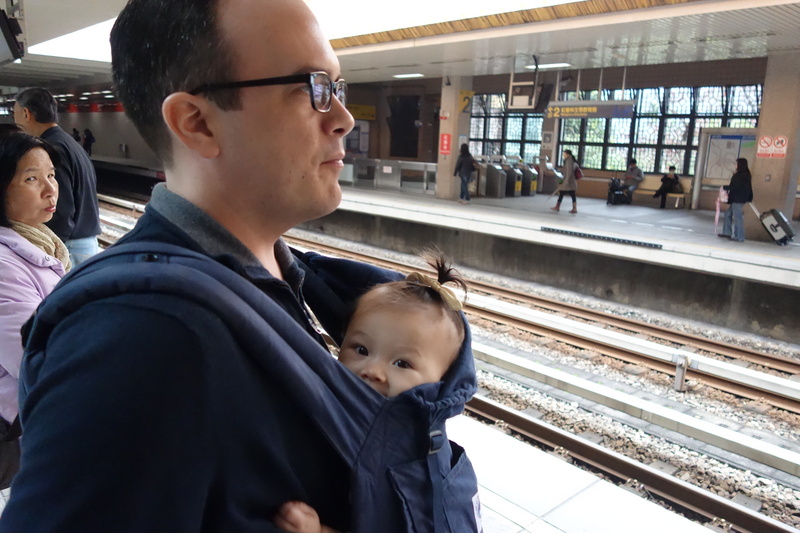 Isa and her Daddy await the Taipei metro, the MRT. The weather was rainy for our first few days in Taipei. But when there were pockets of sunshine, Isa got to get out for walks and explore.